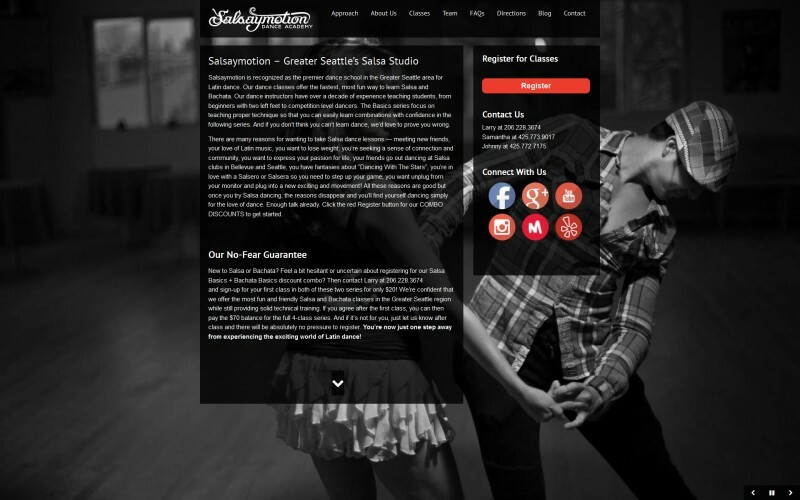 Salsaymotion needed a responsive and elegant website that would work well across all types of devices. 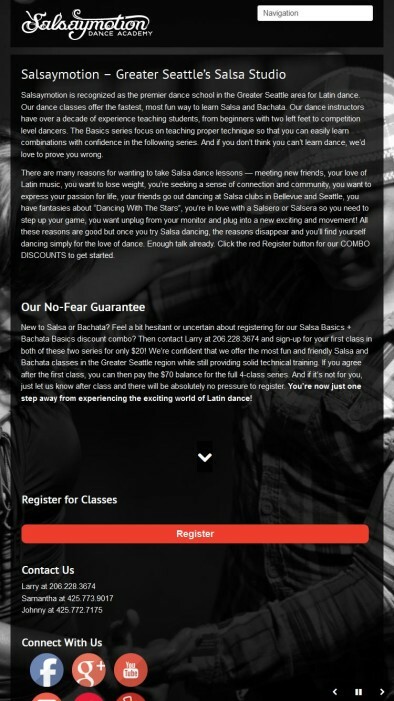 We designed and developed a website that captures the essence of salsa and that highlights Salsaymotion’s classes. Thanks in part to the website design, Salsaymotion was able to significantly increase the amount of new customers from their revamped online presence. 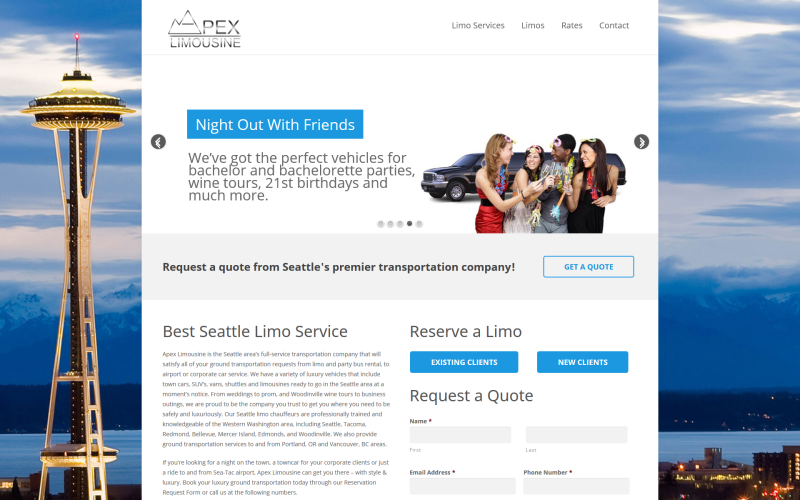 Apex Limousine was looking for a complete redesign to their current website that would let their current clients easily request their services and also cater to capturing new client leads. We created a responsive website that adapts to every smart device. The site is powered by a content management system that lets Apex add or edit any content to their website. 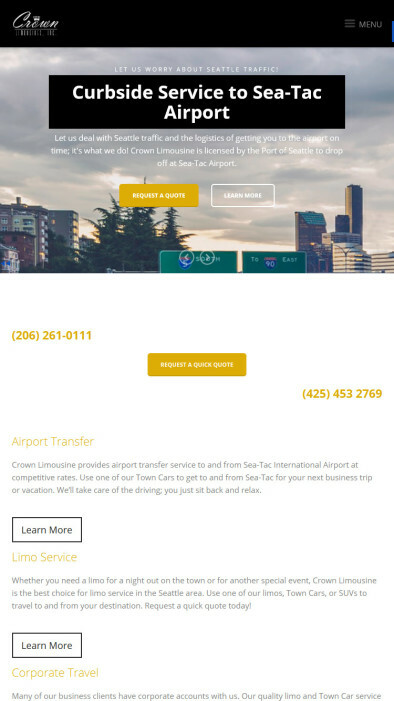 Apex Limousine’s clients liked the new site as it let them request transportation easily through their smartphones. Crown Limo approached Ivanov Designs with a challenge. 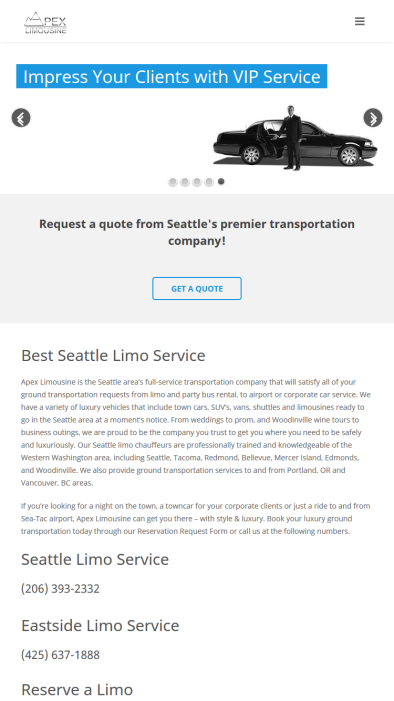 The Seattle limo service was looking to better serve its current clients and increase its number of reservations. Ivanov Designs designed a responsive site to better serve the company’s clients through computers, tablets, and smartphones, and successfully executed an online marketing plan. Crown Limo now ranks on the first page of Google for high-competition keywords, industry-specific keywords. As a result, limo reservations have increased significantly. Mount Gardens needed a new site designed to showcase its services, classes, and published content in a simple, yet effective way. 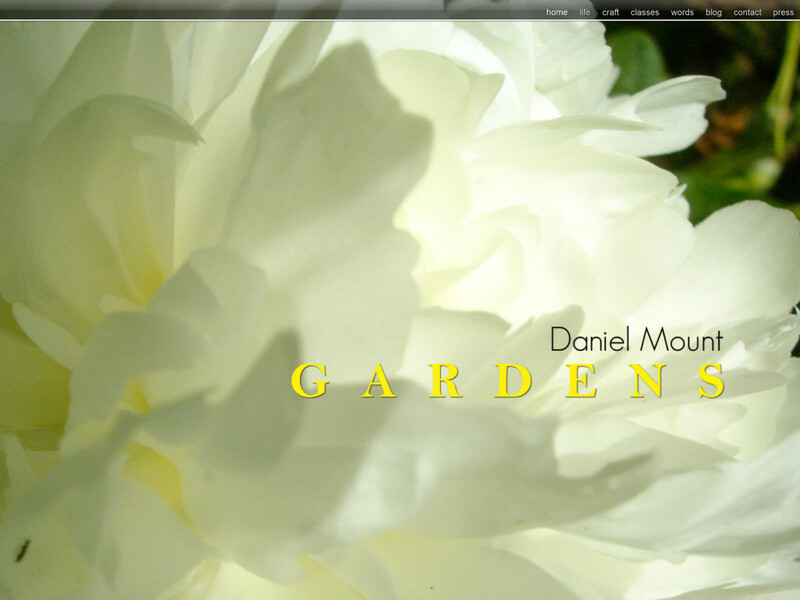 Mount Gardens chose Ivanov Designs to design and develop the company’s current website. The site is powered by a custom content management system, allowing Mount Gardens to easily make changes to any parts of its site without any technical knowledge. Visitors to the website increased significantly, resulting in more business for Mount Gardens. Oh! India approached Ivanov Designs with a challenge. 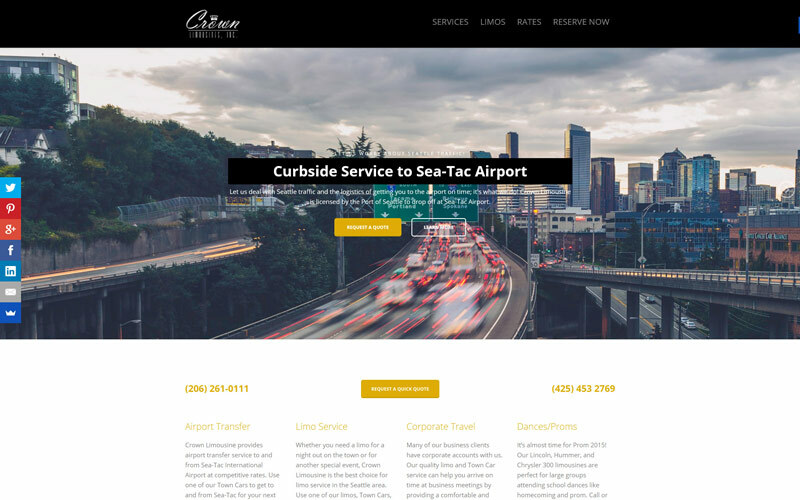 The Bellevue restaurant turned to us to create an online presence that attracts more customers and increase its number of reservations. 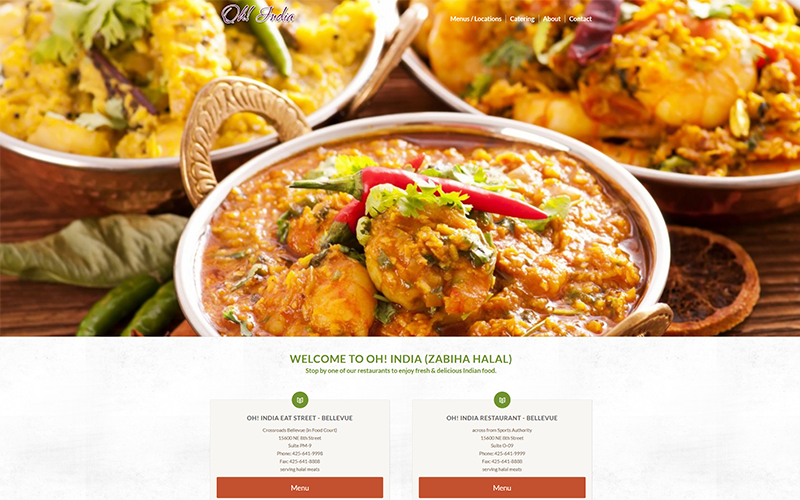 Ivanov Designs designed a responsive site according to the restaurant’s brand identity. We also optimized the page by using search engine optimization. Oh! India saw an increase in site visitors, and as a result, increased visits to its physical location in Bellevue, WA.